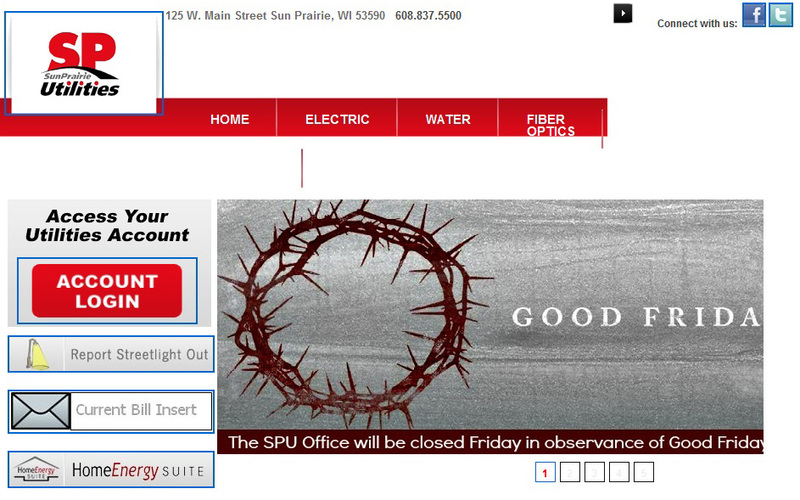 The Freedom From Religion Foundation is protesting the illegal closure of the public utility in Sun Prairie, Wis., in observance of Good Friday, and the inappropriate use of religious iconography (a crown of thorns) on Sun Prairie Utilities’ website. Within an hour of receiving a letter of complaint April 16 from FFRF Senior Staff Attorney Rebecca Markert, SPU removed the “crown of thorns” imagery but retained its announcement that the office would close Friday for the Christian religious observance. Markert informed Utility Manager Rick Wicklund that as a municipally owned corporation, SPU is in violation of a federal court ruling won by FFRF in 1996. The ruling by U.S. District Judge John Shabaz in FFRF v. Thompson overturned a law declaring Good Friday a state holiday because it violated the Establishment Clause of the First Amendment. The law mandated the closure of public offices in the afternoon and required citizens to worship. FFRF sought assurances the practice will cease immediately. “We should not still have to be mopping up 18 years after a conclusive victory in federal court,” commented FFRF Co-President Annie Laurie Gaylor, an original plaintiff along with several state employees, against Gov. Tommy Thompson in the 1996 case. “Local officials need to be cognizant of what the law is and observe it instead of an exclusionary religious event,” Gaylor said.